When most people think of holidays, they think of annual celebrations, but in Judaism there is one holiday that occurs every week - Shabbat. This holiday is the holiest and is central to Jewish Life. As the great Jewish writer, Ahad Ha-Am has observed: "More than the Jewish people have kept Shabbat, Shabbat has kept the Jewish people." Shabbat truly has been a unifying force for Jews the world over. At Temple Har Zion, we honour this gift by celebrating Shabbat with meaningful, inspirational, musical, and inclusive services that appeal to all ages. Family Service at 7:30 p.m.
Tot Shabbat service from 6:00 to 7:00 p.m. Regular Service at 8:00 p.m.
All evening services begin at 6:30 p.m.
A Family Service takes place on the first Friday night of each month beginning at 7:30 p.m. This service is family-friendly and followed by an Oneg Shabbat. 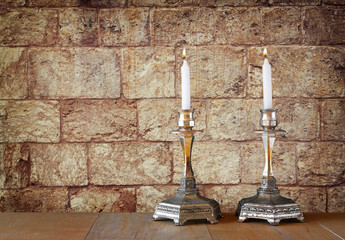 Kabbalat Shabbat Services occur on the middle two or three Fridays of each month, beginning at 6:30 p.m., preceded by a se’udah (light refreshments) at 6:00 p.m.
Late Shabbat Services begin at 8:00 p.m. on the last Friday of each month. The service will often include our Adult Choir. We feature special programs, guest speakers and music. This service is followed by an Oneg Shabbat. We hold a Tot Shabbat on the first Saturday of each month (10:30 am - 11:15 am) featuring the PJ Library program. During the summer, all Friday evening services begin at 6:30 p.m.
A Rabbi-led Torah study begins at 9:00 a.m. A light breakfast is served. Services begin at 10:30 a.m. Kiddush follows services. At Temple Har Zion, we celebrate a number of special Shabbatot during the year. Guests are welcome at all Shabbat services. Outdoor Services: During the summer months we hold our Erev Shabbat worship at 6:30 p.m. in our beautiful Davis-Yacht Garden, weather permitting. Surrounded by nature, we connect to the grandeur of God’s Creation and celebrate Shabbat before the stunning tapestry created by one of our members, Lisa Rose. Shabbat Shirah: The Sabbath of Song: Shabbat Shirah takes place on the Shabbat morning on which we read Parashat Beshalach, the Torah portion which includes the Song of the Sea. This song, which Moses, Miriam, and the Children of Israel sang after crossing the Sea of Reeds, has a special melody sung only for this text. Our entire Beit Midrash comes for a joyous, family-friendly service featuring beautiful and singable music, so that everyone can participate. 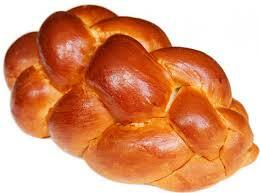 Family Shabbat Morning Services: A few times during the year, we hold Family Shabbat Morning Services. The liturgy is family-friendly, the music is folksy, and the Rabbi tells a story to go with the parashah. All are welcome! New Member Welcome: Each year, we welcome new members to the Har Zion family with a New Member Welcome Service. All new members are specially invited, and come to the bimah for a special blessing offered by the Rabbi and the entire congregation. Chagigat haChomesh—The “Festival of Fives”: At our late service in April or May, we celebrate with all Har Zion couples who are celebrating an anniversary with a multiple of five that year. The couples are given boutonnières and proceed together into the Sanctuary to be honoured, starting with the longest-married couple. During the service, the couples renew their vows. Special music is part of worship that night, and a festive Oneg Shabbat follows - complete with wedding cake! MHarZY Service: MHarZY (Members of Har Zion Youth) is our Senior Youth Group, for teens in grades 9-12. Once a year, MHarZY leads our worship using a creative liturgy they have prepared. We have been blessed over the years with beautiful musical services led by the future leaders of our people. Friday Night Live: Twice a year we celebrate Shabbat with a live band and an extra-musical service. Kol Bo Shabbat: In the fall, winter, and spring, the 3rd Friday of the month is an “All in” experience of Erev Shabbat including a small band, visual t’filah and an entirely musical worship experience. This is followed by a delicious Shabbat meal and song session.